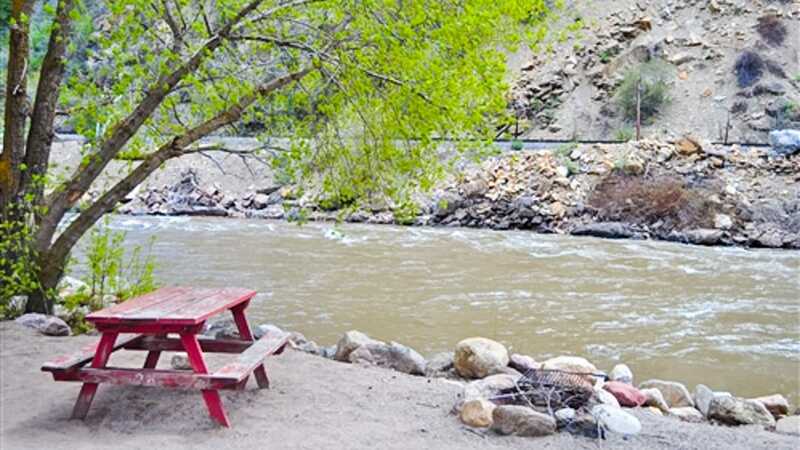 Nestled in the perfect Rocky Mountain location, Glenwood Canyon Resort offers tent camping sites in the spectacular Glenwood Canyon right on the Colorado River! For our outdoor lovers, a tent site nestled on the riverbank is a fabulous spot to set up your portable travelling shelter. 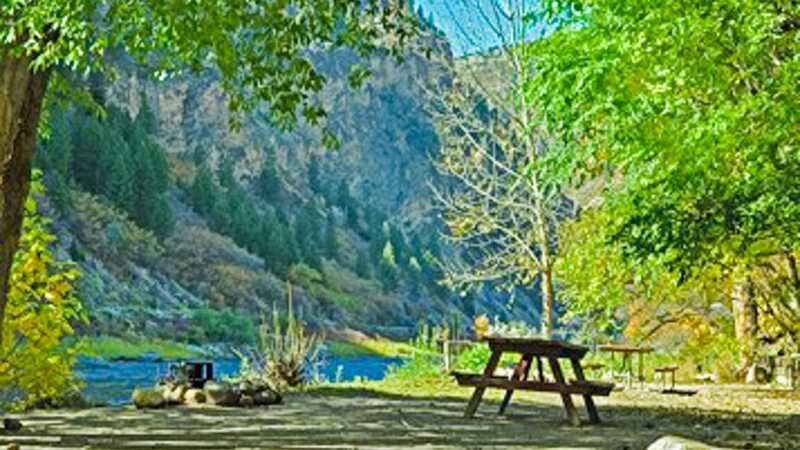 Each riverfront site has its own fire ring, picnic table and views of the magnificent Glenwood Canyon walls towering high above. These sites can accommodate a 9′ x 12′ tent and allow you to park right at your site. You’ll feel like you’re in the wilderness yet just minutes from Glenwood Springs, Hanging Lake and all the excitement and activities you crave in the Rocky Mountains! This “pet-friendly” site allows 1 large or 2 small/med non-aggressive dog(s) for an additional fee. Please refer to Pet Policy. Camp along the banks of the Colorado River in the heart of the Glenwood Canyon. 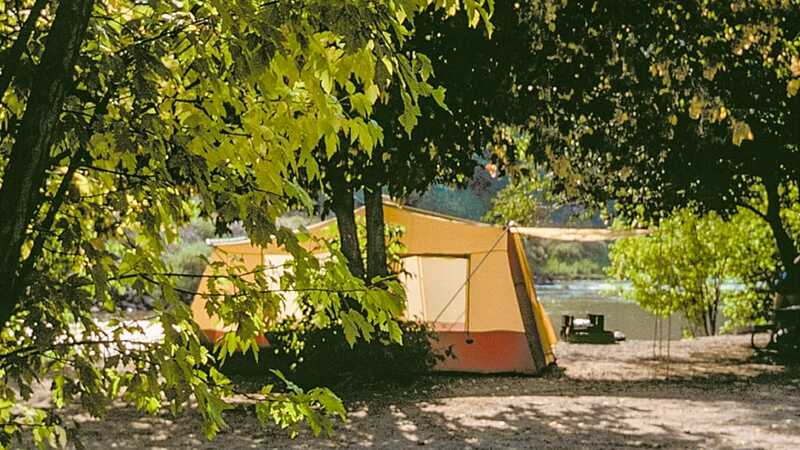 Each riverfront site allows you to pull up and park so unloading your tent and supplies is a breeze. Once you’ve unloaded and have your site all set up feel free to explore all we have to offer! The No Name Bar & Grill is just a short walk from your site offering fabulous food & beverage! Once there, check out our super fun zipline and high ropes adventure course or just sit back and enjoy the views from our huge terrace overlooking the river and canyon. Remember, you’re steps from the Glenwood Canyon Recreational Trail and just minutes from the world famous Hot Springs Pool or very popular Hanging Lake Trail.